For the purpose of this agreement "the client" shall where the context so admits include their respective assignees, sub-licensees and successors in title. "Photographs" means all photographic material furnished by Dragonfly Creative Studio whether transparencies, negatives, prints or any other type of physical or electronic material. The copyright in the photographs is owned by and retained by Dragonfly Creative Studio at all times throughout the world. The Client agrees that Dragonfly Creative Studio is the sole author of the photographs. On receipt of full payment the client will be licensed to use the images as specified. This licence is non-transferable. The images provided are protected by copyright and may not be used or passed on to a third party without notification to Dragonfly Creative Studio. Title and licence for use does not pass to the Client until full payment has been received by Dragonfly Creative Studio. Where an exclusive licence is granted, Dragonfly Creative Studio will at all times retain the right to use the photographs in any manner and in any part of the world for the purpose of advertising and promoting their work. Images provided are to be used for personal use only. They are not to be scanned, copied or altered in any manner, including removing the watermark (if applicable). Clients cannot authorise any reproductions of images for commercial use, for photographic competition or display. If the Client is obtaining a print for reproduction, Dragonfly Creative Studio may authorise the Client to reproduce the print only as set forth under Special Usage Requirements. In such event, the Client shall request that a credit for Dragonfly Creative Studio be placed adjacent to the photograph on publication. All photographic materials, including but not limited to digital image files, proofs and prints, shall be the exclusive property of Dragonfly Creative Studio. Dragonfly Creative Studio shall make proof prints and/or preview images available to the Client for the purpose of selecting photographs, but such proof prints and/or preview images shall remain the sole property of Dragonfly Creative Studio. Dragonfly Creative Studio may make the preview images available on a website or as an email attachment. It is expected that in booking Dragonfly Creative Studio you have an understanding of the photographer’s style. While they are happy to attempt to take on board client requests, no commitment is made to create and present any specific image or variation in processing. 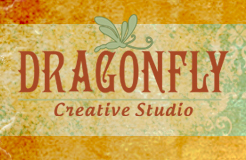 Dragonfly Creative Studio does not allow the use of any cameras or recording devices outside of that being used by the photographer during the course of the session. Photo sessions involve physical activity. This is undertaken at the client’s own risk. Rescheduling of shoots due to weather is at the discretion of Dragonfly Creative Studio. The decision to reschedule will be based on the location, the severity of the weather, and the age of children involved. In the event that illness or other unforeseen circumstances arise, the client may reschedule the session, although maximum notice is appreciated (limit of 1 reschedule per client). Should a session be cancelled with no plans to reschedule, booking and session fees will not be refunded. Failure to appear on the day of the session will result in the forfeit of your booking fee. Re-shoots are at the discretion of Dragonfly Creative Studio. They occur only in situations where the photographer believes that they have not been able to complete what they need to provide a full gallery of images to the client. Regrettable choices of clothing or hairstyle by clients do not fall into this category nor does uncooperative or reluctant behaviour from children over the ages of 7 or adults taking part in the shoot. A re-shoot due to these factors will be done at the cost of the client. Dragonfly Creative Studio shall not be liable for any legal action, claim or damages resulting from or arising out of the publication of the photographs or other use by the client. The client shall indemnify Dragonfly Creative Studio against any claims and/or damages against them as a result of the client’s use of the photographs. If the client is not present during the actual photography sessions then Dragonfly Creative Studio’s interpretation of the assignment will be accepted. Unless a rejection fee is agreed in advance then there is no right of rejection. Once Dragonfly Creative Studio has been commissioned, The Client is responsible for payment of all expenses incurred up to the time of cancellation and Dragonfly Creative Studio will be entitled to charge a fee for cancellation or postponement at their discretion. Dragonfly Creative Studio’s name will be printed in reasonable proximity to all published reproductions of the photographs unless agreed otherwise prior to the work commencing. For subjects under the age of 16 at least one Parent or Adult designated by the subject’s Parent shall be present at all times whilst the minor is on Dragonfly Creative Studio premises. The Parent or designated Adult shall maintain in visual contact with minor at all times. The Client is aware that colour dyes and inks in photography may fade or discolour over time due to the inherent qualities of the materials employed, and Client releases Dragonfly Creative Studio from any liability for any claims whatsoever based upon fading or discoloration due to such inherent qualities. All photos purchased have been individually processed, colour corrected and enhanced to bring the image to its full potential. A professional lab prints all work and all prints are quality checked before being presented to the client to ensure that they are of a high standard, both in printing and in colour. Prints may appear slightly different to the image displayed on a client monitor due to variation in the client’s calibration. Digital files printed by the client at a non-professional lab may show a colour shift and Dragonfly Creative Studio is not liable for colour problems of prints that have been printed at a one-hour photo lab or similar. These terms shall not be varied except by agreement in writing. This agreement is governed by the Laws of New South Wales.